WHILE last week we shared the general Malaysian property market outlook as reported by CH Williams Talhar & Wong’s (WTW), this week, we take a closer look at what can be expected in the northern purlieus in Penang and down south in Johor. Documented as the earliest reference to Penang which means Island of Betel nut, Areca or Pinang; did you also know that Penang (or Pulau Pinang) was previously part of the Sultanate of Kedah? Often called George Town (its capital), Penang was the first of the Malay states and the first state in Southeast Asia, to be ruled and possessed by the British. Due to its long colonial history, there are many English-inspired buildings, some of which are maintained as colonial heritage property. Generally, property in Penang is on the high side. Consisting of the island and part of the peninsula, Penang island itself comprises 293 sq km while the mainland bit amounts to 760 sq km. As if property prices were not already high, prices increased with the opening of the second bridge in 2014. The year 2015 was also a challenging year for property developers as residential property transactions declined, due to the enforcement of cooling measures, tight credit measures, a sluggish rental market and various economic factors said reports. Nonetheless, affordable housing took off last year with the bulk of the projects slated for completion in 2018. According to WTW, although the general market and business sentiments in Penang have been comparatively weaker than the recent preceding years, transaction of properties in 2015 did not show a conspicuous decline in prices. “In a relatively lacklustre demand for property acquisition, asking prices by sellers have just reduced to a more reasonable level,” reported WTW. The report also stated that property owners still have the holding power to retain their properties and not sell them at “bargains”. Rentals have also not shown a notable decline as landlords have to either maintain or increase rentals to cover for the rising outgoing of properties. For 2016, WTW states that Penang property prices and rentals may be affected and the property sector, in general, is expected to remain challenging. Some notable on-going projects include the acquisition of reclaimed land, a 32.76-acre site which will be used for Phase Two of The Light Waterfront Penang in Gelugor. The large scale, integrated mixed-use development is designed to offer a shopping mall, thematic shops, residential blocks, an office tower, two hotels and a convention centre. Major land reclamation is also actively been pursued for new growth centres and mixed development projects reports WTW. The area involved is adjacent to Penang Island , involving approximately 891 acres which is expected to mete out two man-made islands. The state is also looking into unveiling several new policies to make affordable housing more accessible. It aims to do this via raising the nett household income cap apart from introducing a new RM150,000 per unit category of affordable home units. Not short for Trengganu, instead a name often referred to Johor by visitors and traders from Siam back in time, meaning gems. Word also has it that Johor was named after the Arabic word “Jauhar” which means precious gems. While the southern state has many fascinating places to visit, its cuisine that include Mi Bandung and Laksa Johor are also crowd pullers. Another interesting facet that draws people to Johor is Iskandar Malaysia, along with its theme parks, movie studios, property development and tourism projects, not to mention the government and state development initiatives. Iskandar Malaysia is an area in the southern most region in Malaysia and the main southern development corridor of the country. The area encompasses 2,217 sq km and comprises adjoining towns of Pontian, Senai, Pasir Gudang and Johor Baru. Iskandar Malaysia was established on Nov 8, 2006. It was founded and developed from a government requested feasibility study and is administered by the Iskandar Regional Development Authority (IRDA). Iskandar Malaysia is envisioned to become an economic hub – carefully envisaged, by 2025, to have a population of three million, a workforce of 1.46 million, and a GDP per capita of RM31,100. Iskandar Malaysia is already entering into the second half of the 20-year Comprehensive Development Plan (CDP). While things have been looking bright for the region, the property market has not been as exciting from 2014, especially in the high-rise residential sector as stated in WTW’s report. The report also claimed that with the increased level of cautiousness in the overall property market, there still is interest in land acquisitions. Other means of development cooperation were also reported to be active in 2015. 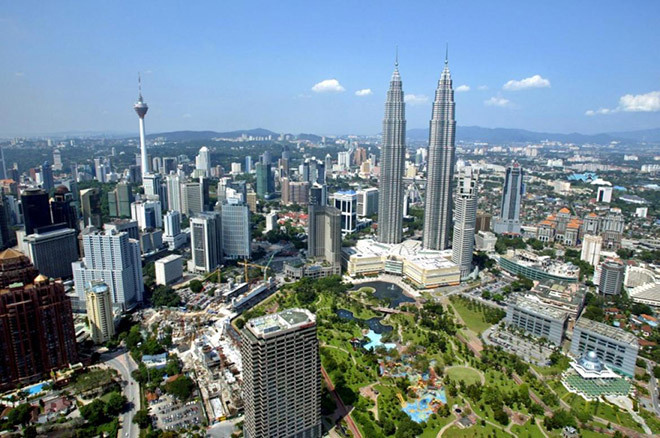 Generally, the market is expected to thrive once the proposed high speed rail between Malaysia and Singapore gets going. Contracts are reported to be awarded by 2017 and the project completed by 2022. Another major infrastructure to boost the property sector is the Rapid Transit System which will connect with Singapore’s Woodlands, expected to be operational by 2019. Furthermore, a recent discussion with United Malayan Land Berhad (UMLand)’s Datuk Charlie Chia revealed much excitement soon (if not already) brewing in Iskandar Malaysia, with the likes of UMCity Medini Lakeside in particular. Chia shared about the company’s projects that included renowned “brands” like Citadines (part of the Ascott Group), the luxurious Sharma which is famous in Hong Kong, Thai brand Ozo (part of the Amari and Sharma Groups). “Medini in Iskandar is getting very popular among the tourists especially with its close proximity to Pinewood Studios and Legoland. Many tour operators are putting tourists up in this area. It is a viable option as it is close to Singapore and accommodation rates here are very much cheaper than in Singapore,” he said. Another venture to boost the property market and economy of the state is the Johor Halal Park in Pasir Gudang, a collaboration between UMLand and the Johor state. Watch this section for upcoming features that include UMLand projects in Iskandar Malaysia. In property investment, GOOD deal will always be there, whether the market is up or down. Are you ready when the good deal comes? Click here to find out more.